This is a bit of a personal victory for me. You don’t know how many times I have tried to photograph this guy, only to find out that all the shots were garbage. All that black gave me such a hard time that I had almost given up. After shooting almost twenty different photos of different angles and light setups, I had narrowed it down into something I could work with. Model: Darth Maul Mini Bust by Gentle Giant. On loan from the Brian Browne collection. Posted in: Uncategorized. 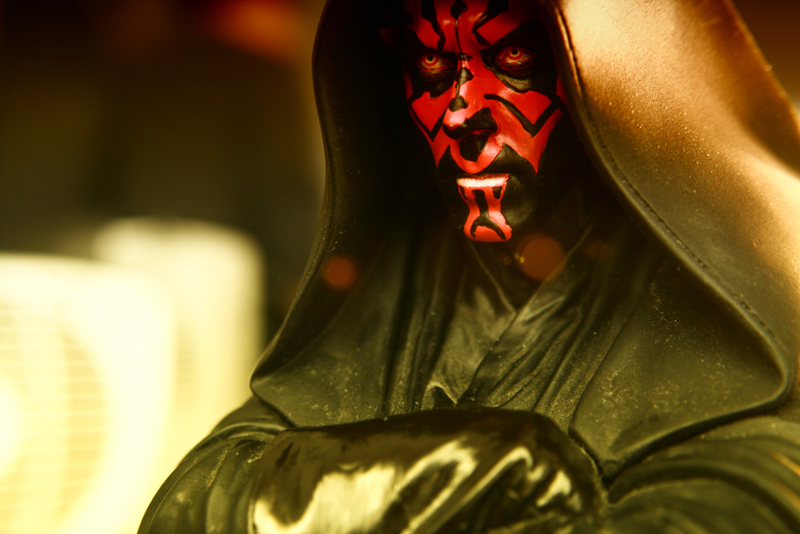 Tags: action figure, bust, darth maul, featured, jedi, sith, star wars, statue, toy, toys.